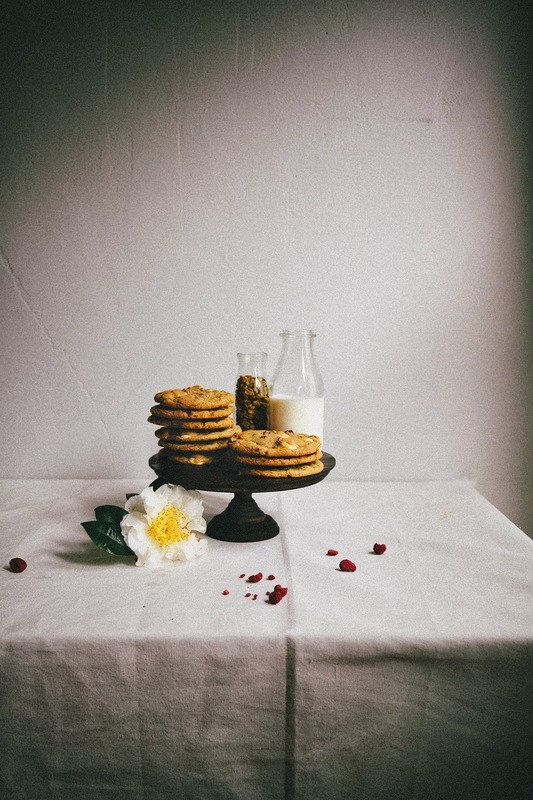 According to food lore, the chocolate chip cookie was an accident. A woman named Ruth Graves Wakefield had set about to make a batch of cookies, when she discovered that she had no more cocoa powder for the chocolate cookies she intended to make. She decided to throw in a handful of chocolate chunks into the dough, with the hopes that the chocolate would melt during the baking process to make chocolate cookies. But nope, they kept their shape and eventually, the recipe became the chocolate chip cookies we all know and love today. But as much as I love chocolate chip cookies, I can't help but wonder why we only have a handful of drop cookie variations. Off the top of my head, I can think of only the following types: a variation of your standard chocolate chip cookies, a chocolate dough based cookie, an oatmeal variation, and a ginger variation. Sure, you'll get different variations like "chocolate chip cookies with cornflake and mini marshmallows" or "ginger, cardamom, and molasses cookie", but the basic idea stays the same. It's rare that you see drop cookies with fruit in them, or candies that aren't M&Ms — how did we come up with the list of what's standard to put in a cookie, and what's not? Why don't we have candy corn cookies (which, admittedly, sound a little gross but HEY you never know!) or peanut butter and banana chip cookies (which, quite frankly, sound BALLER)? While I still don't know the answer to that question, I realize that I've been subconsciously trying to break this idea for a few years now — in my archive, I've got recipes for cookies with sprinkles or with chunks of crushed Oreos in place of chocolate chips. This particular recipe, however, is the first time I've tried to break the barrier with fruit. Well... actually, that's not true. Last summer, I'd tossed a handful of fresh blueberries into this recipe for chocolate cookies in an attempt to make chocolate blueberry cookies. The result was a disaster — the blueberries added way too much liquid into the recipe, and the resulting cookies were a cakey, blobby mass. This time around, I decided to mess with dehydrated fruits. 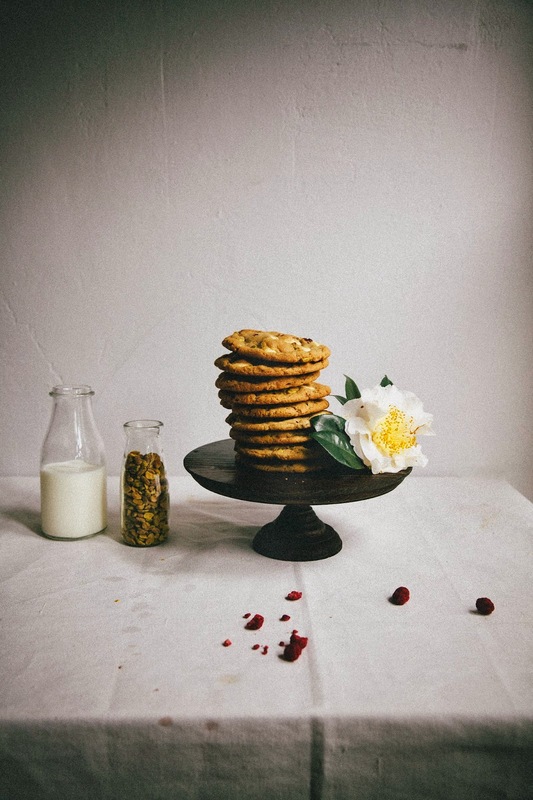 I started with my favorite chocolate chip cookie recipe and added an ounce of dehydrated raspberries, as well as swapping out the dark chocolate chips for with white chocolate chips and pistachios. For fun, I also added some fresh orange zest into the dough. 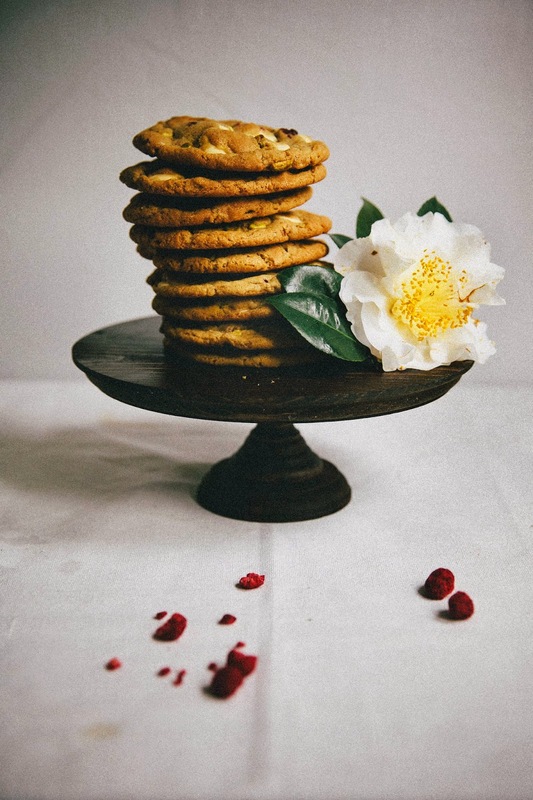 The result was a classic, butterscotchy cookie with a series of new flavors: freshness from the orange and raspberries, salt from the pistachios, and richness from the white chocolate. Wonderful. Plan ahead for this one! The recipe requires you to refrigerate the dough overnight to fully infuse the cookie flavors together. You can, of course, skip this step but your cookie will likely not be as intensely flavored, especially with the orange zest. Letting the dough rest overnight also allows the raspberries to rehydrate themselves, adding a cool, unique texture to the cookie. Dehydrated raspberries are also known as "freeze-dried raspberries". They are available online, or specialty grocery stores like Whole Foods. I got my bag at Trader Joe's, which sells a variety of dehydrated berries and stone fruits (I saw blueberries, blackberries, cherries, and peaches available as well). Feel free to mess around and substitute out the raspberries with the fruit of your choice! In the bowl of a freestanding electric mixer fitted with a paddle attachment, whisk together 1 1/4 cups light brown sugar and 1 cup plus 2 tablespoons granulated sugar until well combined. Use your fingers to rub fresh zest from 1 medium orange into the sugar mixture, helping to release the oils from the zest and infuse the sugar with orange flavor. Set aside. In a separate medium bowl, combine 2 cups plus 2 tablespoons cake flour, 1 2/3 cups bread flour, 1 1/2 teaspoons baking powder, 1 1/4 teaspoons baking soda, and 1/2 teaspoon kosher salt. Whisk until fully incorporated. Set aside. Return to the sugar mixture and add 1 1/4 cups unsalted butter to the sugar. Cream on medium-high speed until light and fluffy, creaming for at least 5 minutes. After 5 minutes, add 2 eggs one at a time, only adding the next egg when the precious one is fully incorporated. Add 1 teaspoon pure vanilla extract and 1/2 teaspoon pure orange extract, and continue creaming for 1 more minute. After 1 minute, reduce speed to its lowest setting and add the dry ingredients (from the 2nd step) and mix until just combined — do not mix for more than 1 minute. At this point, it's okay to have a couple flour streaks left in the dough. Add 15 ounces white chocolate chips, 5 ounces pistachios and 1 ounce dehydrated raspberries all at once and continue mixing on the mixer's lowest speed until the ingredients have fully dispersed into the dough. DO NOT MIX FOR MORE THAN 2 MINUTES. Press plastic wrap against the dough and refrigerate overnight, at least 24 hours. Once the dough has been chilled for 24 hours and you're ready to bake the cookies, center a rack in the oven and preheat the oven to 350 (F). Prepare a baking sheet by lining with parchment paper or a nonstick baking mat. Working in batches, use a cookie dough scoop or an ice cream scoop to measure out four 3.5 ounce mounds of dough. Bake until golden brown but still soft, around 18 to 20 minutes. Transfer the baking sheet to a wire rack for 10 minutes, then use a metal spatula to carefully transfer the cookies onto another rack to cool for another 10 minutes. Repeat with remaining dough, baking in batches of 4 cookies. Oh - I love incorporating dehydrated fruit into my cookies! I've also adopted the trick of baking my fruit before making my ice cream - wonder if the theories would crossover?! These are just the prettiest stacks of cookies. Pistachios, white chocolate, and raspberries sound like an awesome combo. Now you have me thinking about all the things that should go in drop cookies! These sound great! I'm all for more variations on the drop cookie. They're the easiest, most comforting cookie to make. You can practically make them without thinking, and every time you "drop" some dough, it's an excuse to eat more cookie dough! Yes, please. Agreed. Drop cookies are my fave. Though actually, shortbread cookies put up a good fight. Whoa, what? Will definitely keep an eye out for that the next time I'm there. Crazy! The more drop cookie recipes out there, the better! This recipe is absolutely splendid. I can't get over how yummy these cookies sound! Thanks Katrina! More cookies = my general philosophy on life. Gah! I love this post. And those cookies. Also, your photos. Top notch (as always). Yeah, shortbread is pretty baller as well. Cookies in general deserve more prestige than what they have. Using dehydrated fruit is the only way to get big fruit flavour in cookies. As a cookie fiend I have thrown lots of strange ingredients in to cookies. Left over meringues, really dehydrated sugared brioche even tried chocolates covered popping candy! Michelle love the shadows in these pictures! Holy cow, those are some genius additions!!! Gonna check out your recipe archive for some crazy cookie inspirations; so glad you understand my fight against boring cookies, lol. How did the popping candy turn out?! I'm a big fan of throwing anything + everything into my cookies but I've never tried the addition of dehydrated fruit - genius! These cookies look like cookie perfection. I agree with you - we need to break the barrier! I am a dark chocolate lover, and have yet to mess around with white chocolate. These cookies may be on my path soon! Perfect cookie! I wish you would post the recipe in cups and also metric measurement because i always cook with a scale. Maybe in the future ;-) ?! I'm all over the pb & banana chip cookie idea and even more all over these cookies! Love the pistachios with the raspberries and your pictures are stunning! Oh, and that is so interesting about the origin of the chocolate chip cookie. Who knew? I originally read this title as "white chocolate, rosemary, and pistachio cookies" and was like oh wow she's kinda going off the rails with this one. I'm all for rosemary in cookies but I'm thinking maybe not with white chocolate and pistachio. ANYWAY, needless to say I'm relieved there is raspberry in here. Also, this is giving me all kinds of cookie recipe inspiration!!! Peanut butter BANANA CHIP hellllllo I may actually make that soon! 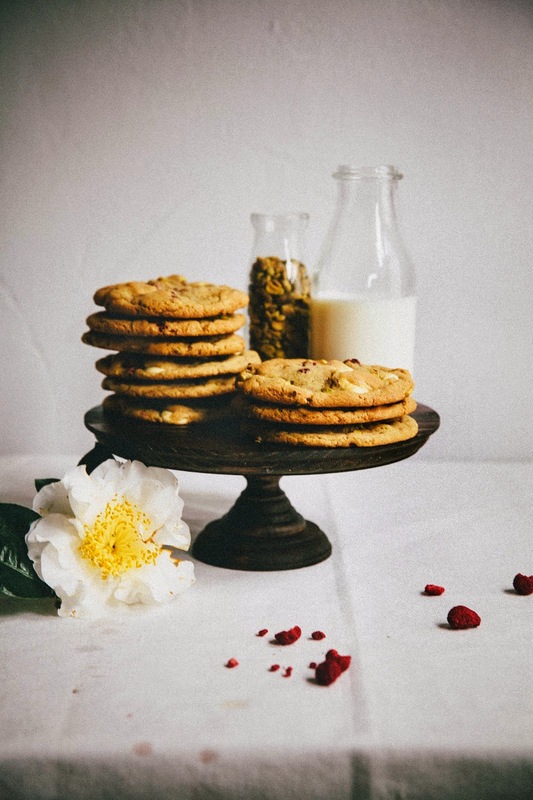 I love your thoughts on drop cookies, I think that's such a valid point, and we definitely don't see enough dried fruit in them! I've never seen dried raspberries but sounds fascinating - I'll have to look for them on my next Trader Joe's run! I'm a pretty new blogger but I just wanted to say that you have one of the prettiest sites with so many delicious recipes. 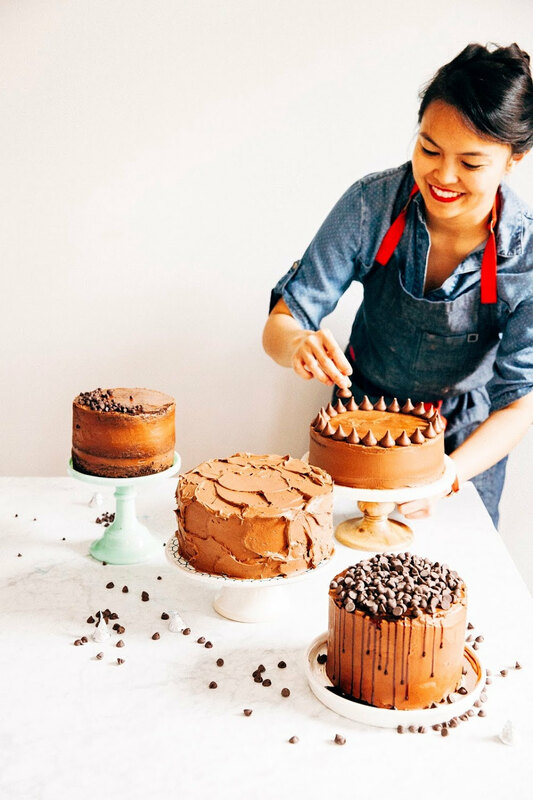 I'm dying to bake your red velvet cake, and I hope someday I can decorate cakes as pretty as you! Thanks Kathryn! Dehydrated fruit really adds a lot of fun possibilities and new flavors. Definitely give it a go! Thanks Kelsi! White chocolate is quite the change from dark chocolate; it's so much sweeter! It was a little jarring at first, so it helps to add a salty ingredient (think: nuts like pistachios or macademias) to help balance out the white chocolate. These cookies look beautiful. Michelle! Oh, and I am totally into the peanut butter and banana chip cookie idea, it sounds delicious. I had no idea that chocolate chip cookies were an accident. I feel like some of my favorite recipes are the results of accident too, like ann eaton mess, or beer. 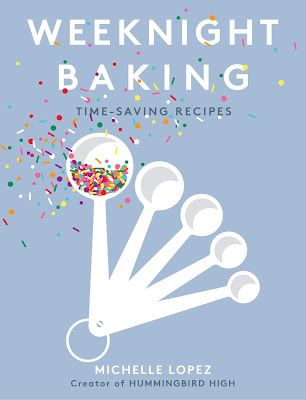 Thanks for the inspiration to start thinking about interesting cookie ideas! Oh, and welcome back from you trip! All your pictures on IG were so beautiful. That should work for most of my recipes, unless stated otherwise. And of course, cake/bread/whole wheat flour weighs differently (I'm still working on standardizing those). Hope that helps! Thanks Tori! Yeah, interesting about the chocolate chip cookie origin, right? Though there are some disputing stories that say the cookie was on purpose... oh well, i like to believe the "accident" story! Hahaha, yeah, rosemary would be a little much...especially with the pistachio. But I could kinda see it working with white chocolate? Maybe??? Either way, YEAH peanut butter and banana chip needs to happen. Let's do it! And I had no idea that beer was an accident! Crazy. Apparently cheese was an accident too, back in the day? They'd put some close-to-sour milk in a satchel, attached it to a horse and the horse's movements churned it into cheese. I don't know if that's actually true, but I remember hearing about it many years ago and thinking that it was a very, very fortunate accident. Yum, interesting flavor combo, did you come up with it? Haha ok I'm actually definitely doing that for an upcoming post and you're going to be like "wow that was quick" and I'll be like yeah I told you I was gonna do it! Um, YASS! Chocolate chip cookies are my fave and why are cookies so underrated! They are the BEST!! 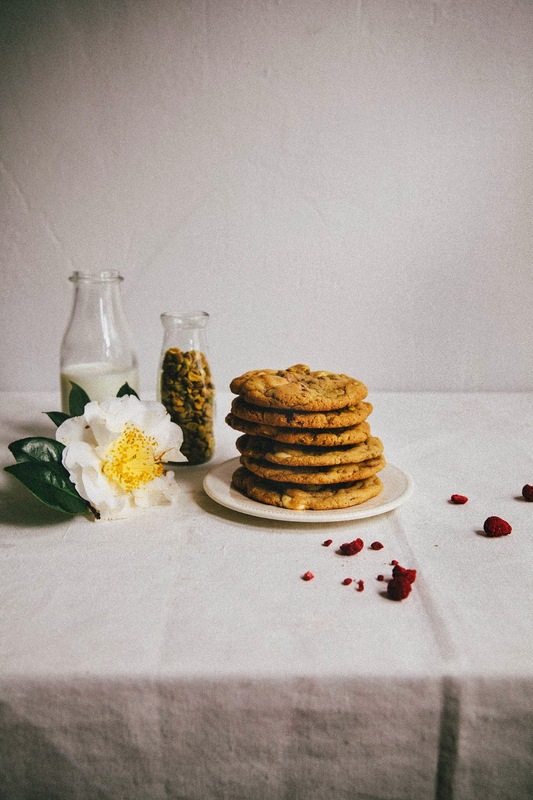 Your white chocolate, raspberry, and pistachio cookies need to happen in my kitchen stat. Best news is I think I have all of these ingredients right now! P.s. Love that pedestal!! Though hmm, they don't seem to sell cake stands anymore! Oh well. They look gorgeous!! I love how real you get with your tips/posts - I absolutely adore reading about the successful recipes and everything, but I also love reading about the failures - because that's just reality!! Trial and error, experimentation and learning from them. I've definitely had my share of messups because I wanted to try something -for me, it was making pineapple tarts, and I didn't want to get wintermelon because I was too lazy... but boy did that produce the wrong texture! Anyway, thoroughly enjoyed this post - really great information about baking with fruit!!!! Also, I feel like this post was meant for me, because I'm allergic to all tree nuts.. except pistachios :D.
I've never thought about using fruit in cookies, dried or otherwise --- you've inspired me! Oh boo!! I was just getting ready to click over and peruse. Good thing this recipe isn't going anywhere!! My momma is in town and we've got a crazy ambitious schedule but these are happening when she leaves for sure!! Your baking knowledge amazes me. What a delicious flavor combo!